Traditionally, April brings a ground swell of outdoor work which often includes digging. Whether it is a small project or a large home improvement project, National Safe Digging Month is a way to remind us all to call 811 before starting any digging project. Did you know, every six minutes an underground utility line is damaged because someone decided to dig without first calling 811? The risk of injury, or even death is serious. Beyond the devastating risks of death or injury, consider the costs of repair, fines and even inconvenience. From putting in a fence, planting a tree or building a deck, knowing where the power and water lines before you dig will save a lot of time, money and pain later. Call 811 or go online to get a USA ticket three days before you plan to dig. All you have to do is give the address or general location of the project, when you plan to start, and how much digging you’ll be doing. Make sure you dig parallel with the utility line and use precautions when you are removing soil from near the utility line. Use smaller hand tools while digging within 24 inches of the outer edge of underground utility lines. Keep an eye out for signs of a natural gas leak. If you smell something similar to rotten eggs, or hear hissing, whistling, or roaring, it’s likely a leak. 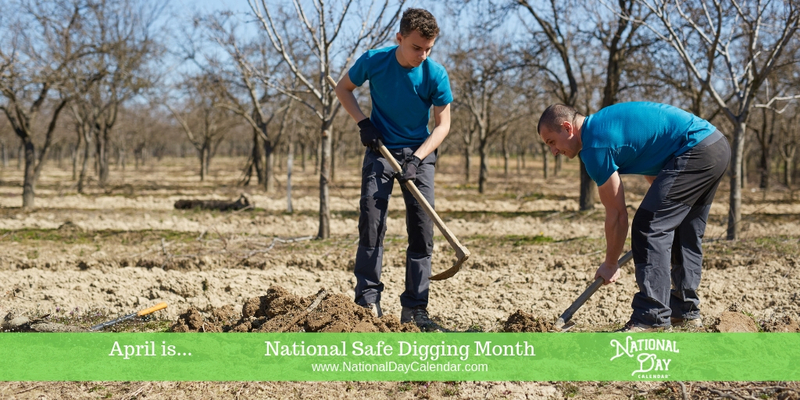 National Safe Digging Month (NSDM) began in 2008 as a way to encourage all CGA (Common Ground Alliance) stakeholders to promote the safe digging message in one voice during one strategic month when digging activity begins in earnest nationwide.